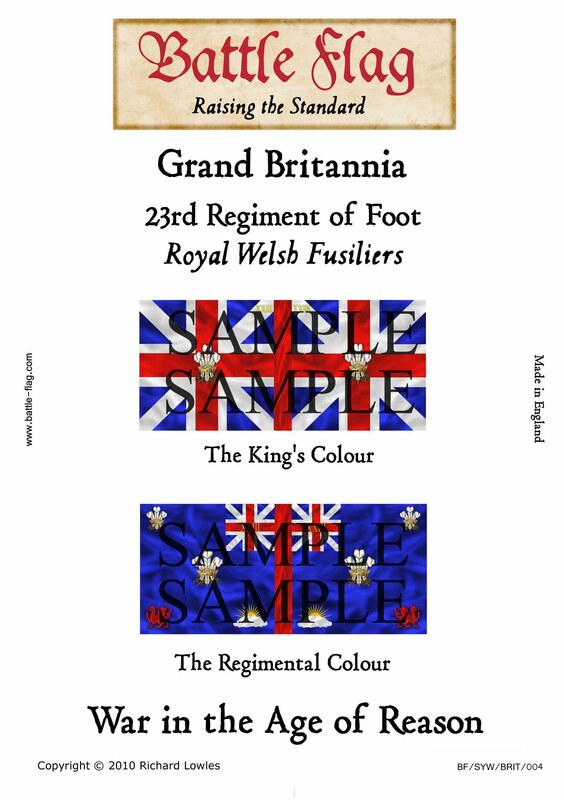 Makers of the finest model flags, transfers & model kits and accessories for wargamers and collectors of military miniatures and model soldiers. New Seven Years War Wargame Flags. 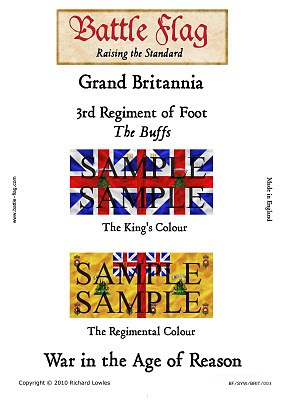 The Flags of Great Britain from Battle Flag. 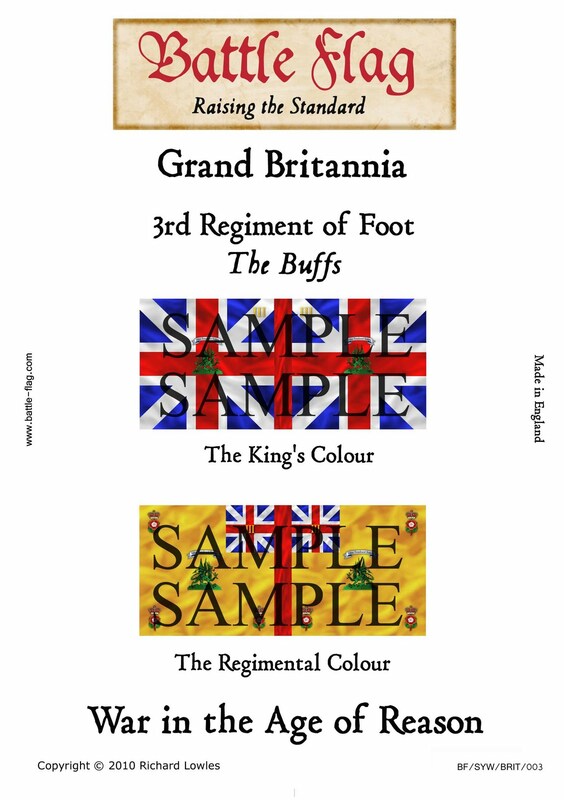 The first four sets of the Seven Years War wargame flags are now ready. 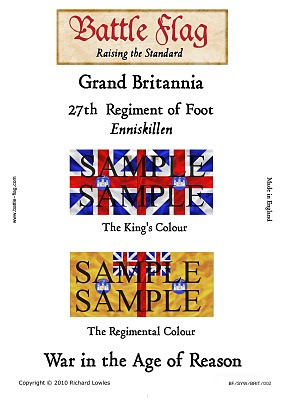 The British Regiments that are represented are the 3rd Regiment of Foot (The Buffs), 7th Regiment of Foot ( Royal Fusiliers), 23rd Regiment of Foot (The Welsh Fusiliers), 27th Regiment of Foot (Enniskillen Fusiliers). 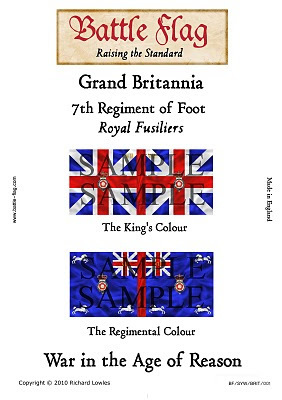 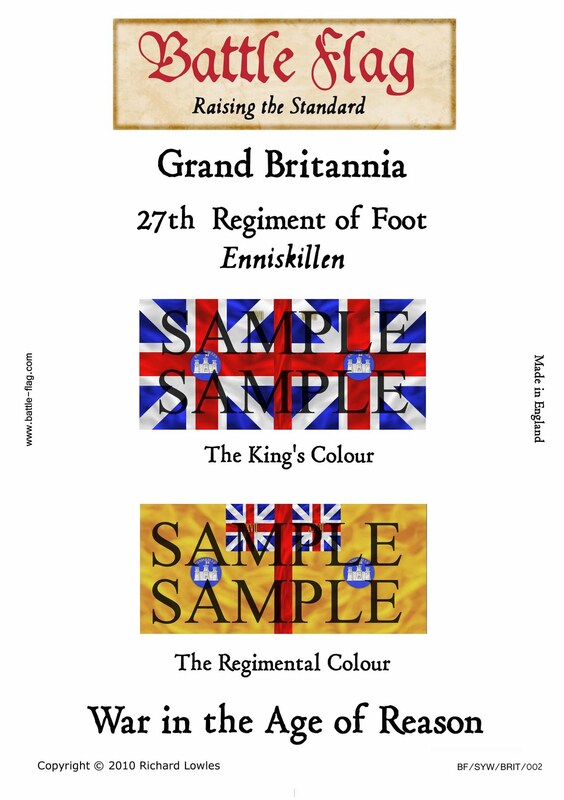 Each set of wargame flags includes the Kings Colour and the Regimental Standard.